We are nearly at the end of the daily running season – only tomorrow to go. The past week has been Family Fun Week, ending with Half Price Weekend. Lots happening during the week, with face painting, an entertainer, children’s activities in the museum and a blue timetable (minus the last train of the day). 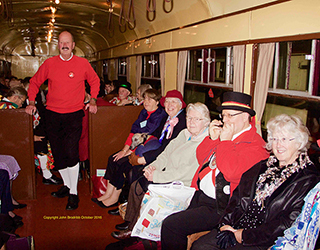 On Friday evening the SDRT Museum Support Group ran its Museums at Night event, in conjunction with Staverton station. It was hugely popular. Passenger levels for the week seem to be up on last year, and museum footfall has shown a very healthy increase. 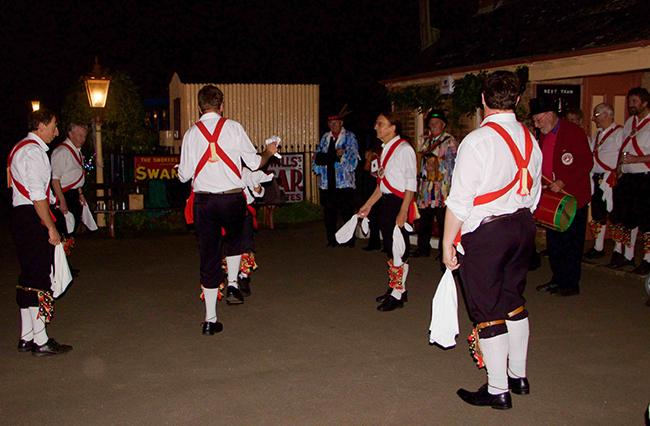 Dartington Morris Men dancing on the platform at Staverton: very entertaining, and a huge hit with our visitors. Very many thanks to them for turning up, and especially to Robin Springett for organising it. A packed auto coach W228 on its way from Buckfastleigh to Staverton for Museums at Night. We had a great team, including re-enactors Colin Harmes, Dave Knowling, Wendy Brodribb, Val Browning, Keith and Rosemary Jessop. Thanks to the train crew for the evening: Ben Greening, Giles Gilbert and Tony Allott. 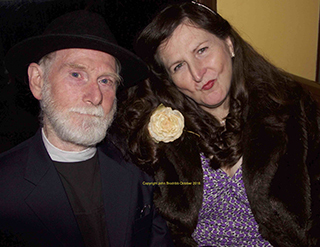 The Rev Jessop and his enamorata travel incognito to Staverton. 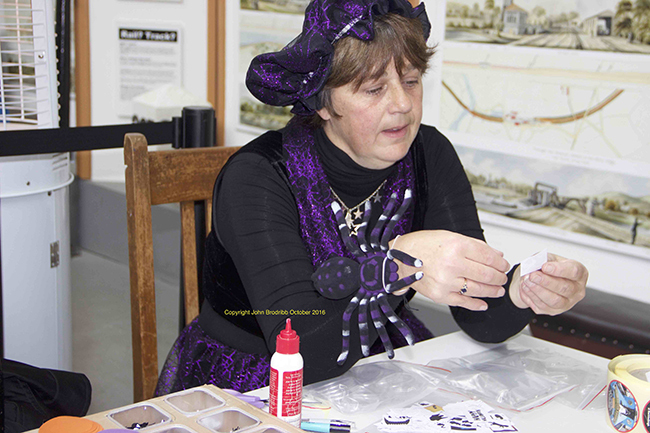 Val Browing making badges in the museum on Friday as part of the children's activities. Very many thanks for our other activity leaders Abbie Harmes, Veronica Chambers and Wendy Brodribb. There needs to be a mention for the Staverton team on Friday evening, without whose hard work it could not have happened. They were Steve and Sue Bates, Julia and Paul Tonkin and Ian Bowyer. They did a great job, made what seemed like gallons of tea and coffee, and sold a huge number of wonderful cakes. Brilliant! Meanwhile, life goes on elsewhere on the SDR. 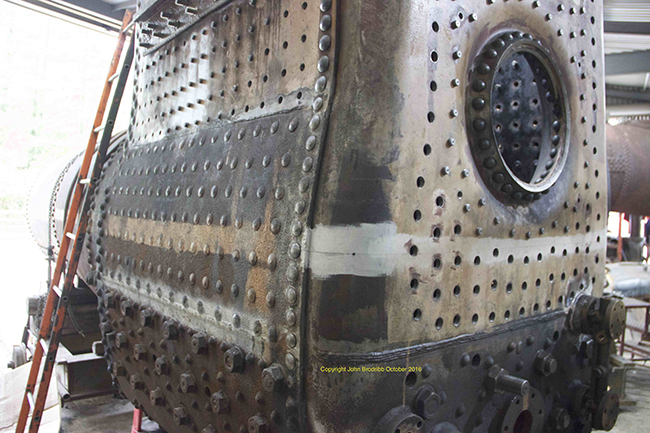 In the workshops restaying of 5526’s firebox is well advanced. 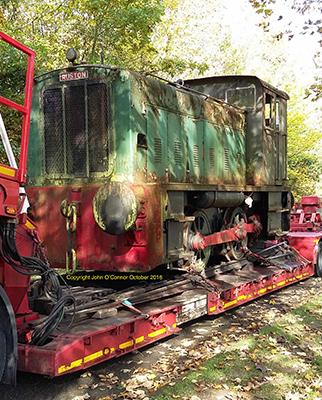 The Ruston shunter (you can do the jokes here...) formerly owned by Andy Greening departed for pastures new on Thursday: thanks to John O’Connor for the photo. 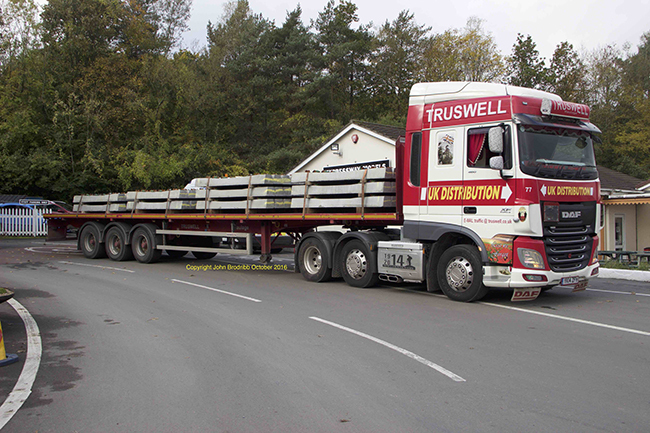 And finally – it was a good week to take delivery of new sleepers: here is the first load of 80 concrete flat-bottom sleepers arriving on Wednesday.